Leslie Ebersole, a broker in the Chicago area with Baird & Warner, has become a respected voice in the real estate community. She was appointed to the advisory board of realtor.com’s agent-ranking platform AgentMatch in 2013 before realtor.com suspended it in December. Ebersole, who holds an active, respected presence in several public real estate Facebook groups, also made the cover of Chicago Agent Magazine for a story analyzing the value of multiple listing services. 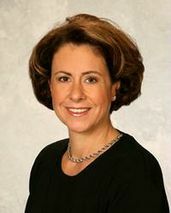 Ebersole joined Baird & Warner in 2005.